Example of a timeless logo by Velmost - a fashion based SupaDupa store. A good logo can add value to your ecommerce store by allowing your customers to instantly identify your business and your brand. The best logos are timeless, recognisable, and convey what a business is all about without the need for lengthy explanations. Is your brand sleek and modern, or countryside quaint? Is it influenced by other cultures around the globe, or is it a classic British brand? Think of your logo as a visual representation of your brand -- a graphic signature that you would be proud to associate with your business. Creating your logo is a huge part of starting an online store because, without the advantage of a brick and mortar shop, you need to do everything you can to make sure your customers remember you and associate your products with quality. An eye-catching logo will make your free online shop seem more like the kind of established, professional enterprises that give consumers the confidence to buy. There are basically three types of logos, and no type is inherently better. What’s most important is that you consider the demographics of your customers -- things like age and cultural background -- as well as your own brand. The first type is font-based logos, which spells out the company name in a distinctive font. This may seem boring, but think of Sony and Bose, two wildly successful tech firms that have built their brand on the sophistication of their products and, similarly, their logos. If you’re going to do this type of logo, getting a custom font is best: there are tons of businesses that use Helvetica or Papyrus as their logo font, but these fonts can be replicated by anyone and go in and out of fashion, which will make your logo look dated in the years to come. To understand the importance of custom fonts, think of the Coca-Cola logo! It’s simply the company name spelled out in a special font, but the font is so distinctive that it becomes a graphic ‘picture’ in itself. There are also logos that communicate instantly what your company does, such as a shopping trolley for a grocery store or a paintbrush for an art supply store. These are very effective in letting customers know instantly what your business can do for them, but can seem generic, especially if your biggest competitors have chosen a similar route for their logos. If many other logos in your industry depict the same thing, consider how to differentiate yours from the rest. The last type of logo is an abstract logo -- think of the Nike swoosh, or the McDonald’s golden arches. These logos have nothing to do with athletics apparel or hamburgers, but have become synonymous with their brands. Of course, the association between brand and abstract logo takes time and money, so small businesses often choose a more ‘obvious’ logo that is easy to understand. This is up to you and your graphic designer, if you choose to work with one. Examples of logos from micro brands. Colour is hugely important in designing your logo. Don’t fall into the trap of thinking that it has to be black and white in order to be sophisticated, because colours can evoke emotions and brand connotations in an instant, catching the eye of your key demographic. So if your brand is young, girly and flirty, then use those pinks and pastels to your heart’s content! However, this is different from your logo being dependent on colour to work. The best logos can be printed in different colours to take advantage of different holidays, causes, or special events. Try for a logo that is so distinct that it can be coloured red and green at Christmas, or pink during breast cancer awareness month, but still instantly call your business to mind. Even the McDonald’s arches, which are never any colour but that trademark yellow, still communicate the same brand when you see it in black and white in the newspaper. 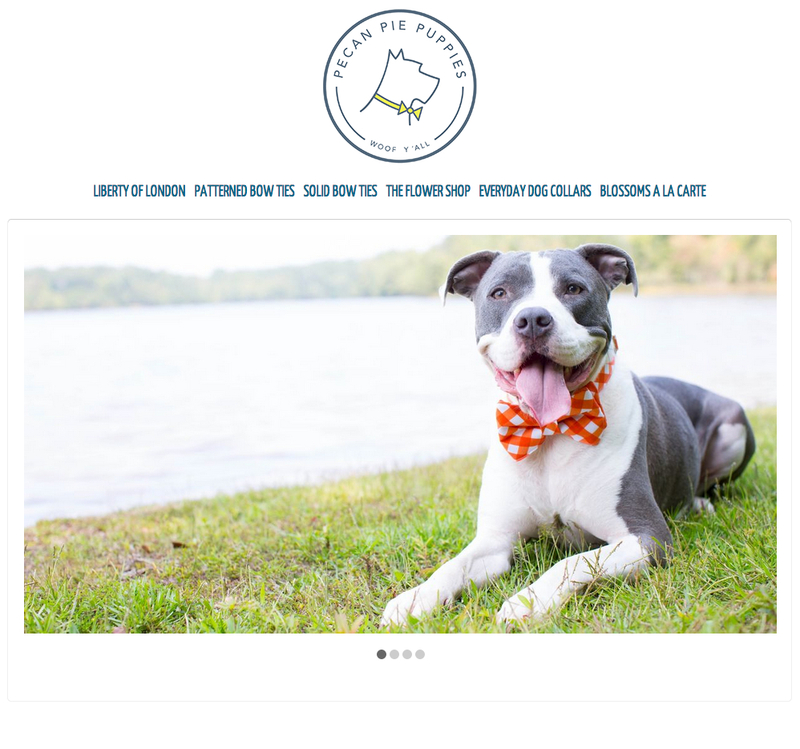 Example of a logo by Pecan Pie Puppies - a SupaDupa store selling accessories for pets. Scalability is also an important factor for any good logo. If your detailed logo looks beautiful on the side of a truck, but is illegible on a business card, it’s not doing its job properly. Think of the Apple computers logo: it has the same impact on a billboard as it does on the back of an iPod shuffle. The best logos are timeless, meaning they won’t look “so 2014” in a few years. However, if your logo does need an overhaul either now or in the future, remember that debuting a whole new look can confuse customers and lose all of the brand association that you have worked so hard to achieve. The Quaker Oats instant-porridge company has said that they changed the look of the man on their logo gradually over a period of 10 years. Imagine waking up one day and grabbing for the box of oats you always buy, but not recognising the man on the box. You might not be sure if you were buying the right product at all, and it’s this crisis of consumer confidence that you can avoid by sticking with your logo or making gradual changes when necessary. Even if you can sketch your own logo, it’s often worth the money to take your ideas to an experienced graphic designer who can critique your logo’s design and give it a bit of polish. Remember, once you start using a logo, it can be costly to your brand to change it. Working with a professional the first time around can help you avoid mistakes -- such as using clipart, being too trendy, or looking too cluttered -- before you go through the expense of printing your logo on everything associated with your business. It might seem like hiring a graphic designer will set you back thousands, and that’s true for large, established firms. But remember that there are thousands of freelance graphic designers out there that can help you make your dream logo a reality, and their rates can range anywhere from £10 to £200 pounds an hour. You don’t have to hire a graphic designer, but if you do, you’re sure to find one that fits your budget. 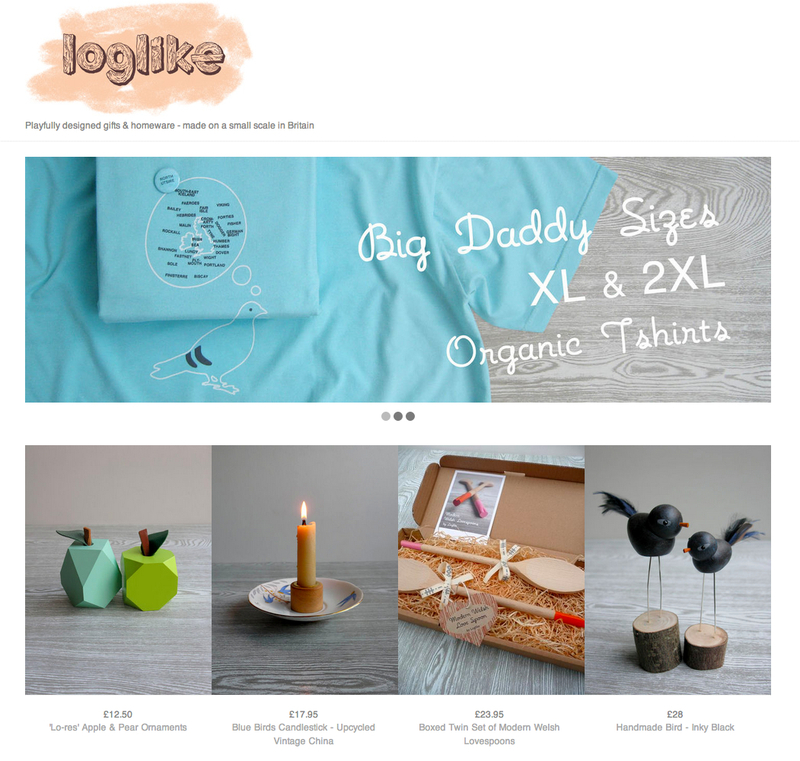 Example of a logo by Loglike - a SupaDupa store selling special designed gifts & homeware. Insightful information on Visual Corporate Identity (CI) and Corporate Design (CD) guidelines. SupaDupa is an ecommerce platform providing creatives with their own online store. SupaDupa offers its members free standing online stores with their own URL, a wide variety of shop themes, and simple but sophisticated tools to control the way their products are displayed. SupaDupa Me Limited © 2011-2019 All Rights Reserved. SupaDupa ® is a registered trademark of SupaDupa Me.